C.R. 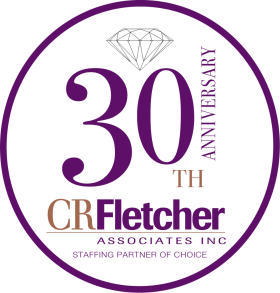 Fletcher Associates compiled resources to maximize the success of your job search and interviews. Whether you are looking for interview tips, sample resumes or general advice you will find important information in the following links. Below is a sample resume. Feel free to use this as a guide as you construct your own resume. Remember to spell check and ask multiple people to review your document. It is always crucial to bring copies of your resume to interviews. The job search tips below are a good starting point if individuals entering the workforce. Included are tips on phone and email etiquette, as well as general internet searching techniques. We recognize that you may not interview regularly and therefore have compiled a number of tips to help you better prepare for your interview. The best advice we can give is to practice so you are confident at the time of your interview.